Entertainment Weekly has surprised us with their magazine cover featuring not only Marvel´s The Avengers: Age of Ultron, but also, our first look to the villain itself, ULTRON. Along with the nice picture of the title character, we can also see the new suits of Captain America and Iron Man and in advance we got some information from Joss Whedon about how Ultron came into being. Joss Whedon: "Tony Stark builds the android to help save the world and to provide the rest of The Avengers some time off, but things go wrong with this plan. Ultron sees the big picture and he goes, 'Okay, we need radical change, which will be violent and appalling, in order to make everything better'; he's not just going 'Muhaha, soon I'll rule!' He's on a mission. He wants to save us". 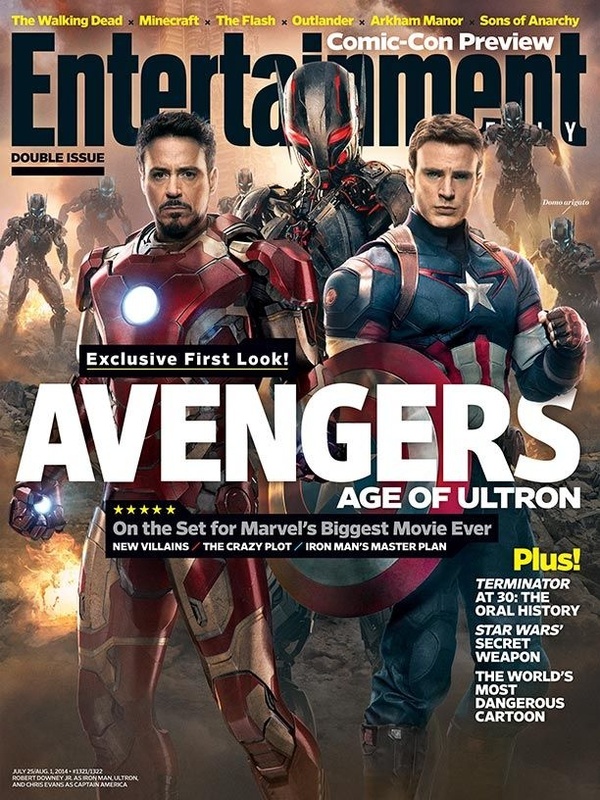 For more information we gotta buy the next issue of Entertainment Weekly, but with this now we can see that Tony Stark, somehow became the mad scientist, who´s obsession to protect everyone as we saw in Iron Man 3, is still there, and now is time for him to learn from his mistake (Ultron). Avengers: Age of Ultron is set to be released on May the 1st, 2015.